Polyester Super Sturdy Parachute. Includes durable nylon handles. Great way to get kids moving. 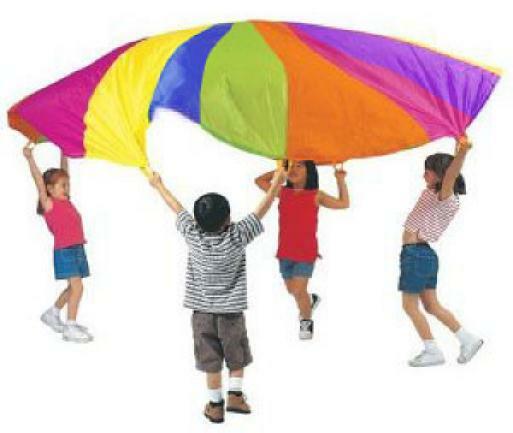 All types of fun games can be played with a large parachute! (1 pc./PB) 6 ft. Machine washable.